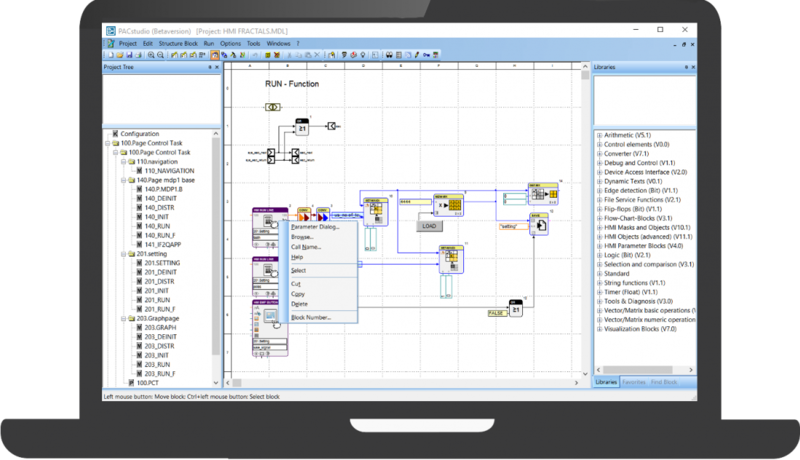 The central software for the PACcubes series is the graphical programming system PACstudio. 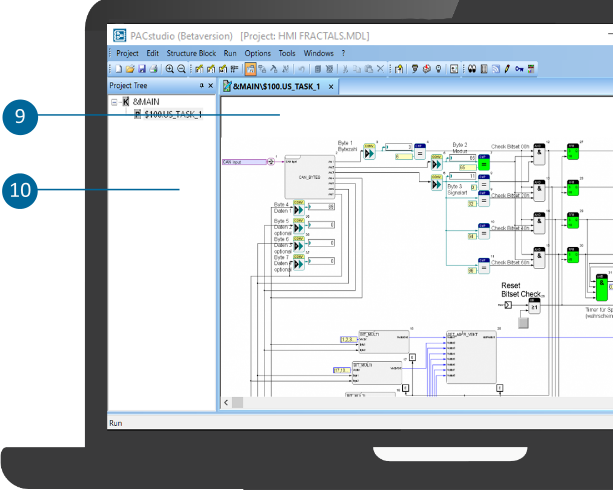 With PACstudio all PACcubes Stations and PACcubes I/O modules are programmed. 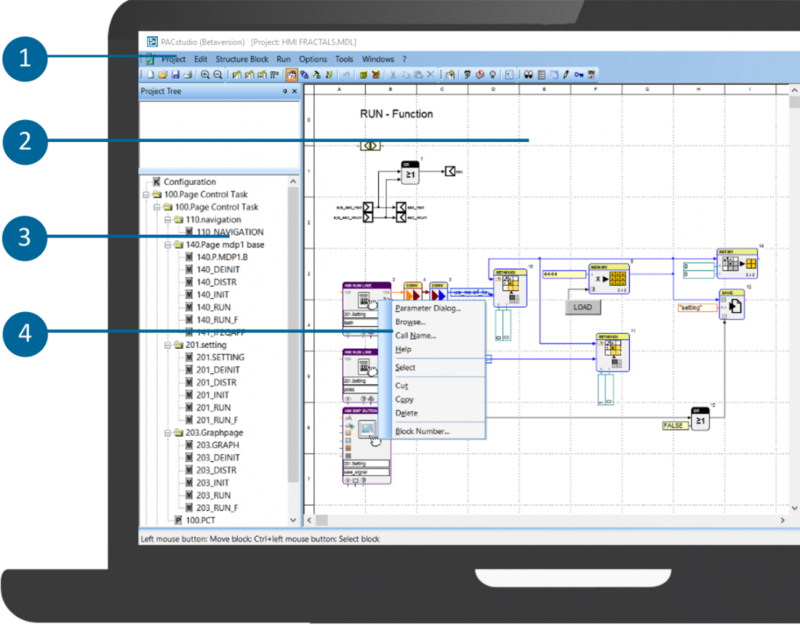 In PACstudio function blocks are being connected to one another, that way a block diagram is being developed. 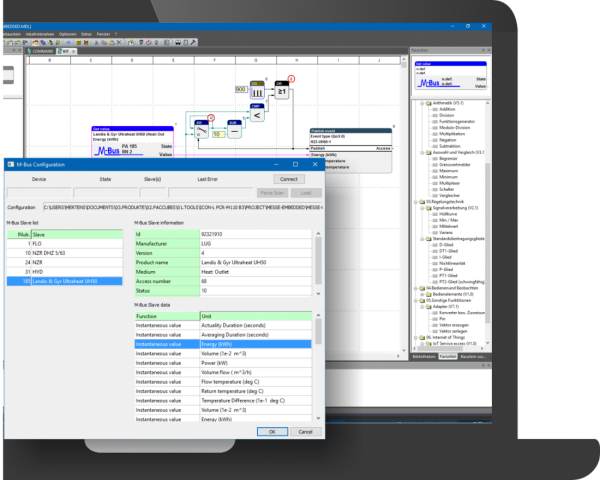 The technical signs and symbols of the function blocks make it easy for engineers and technicians to get started with the programming software. No programming language has to be learned, as graphical programming is intuitive and easy to understand. Function blocks are implemented on the worksheet by using drag&drop. They are connected and the finished program is then being downloaded on the controller. There, the block diagrams are translated into a machine-readable code. Each window can be arranged flexibly and can be adjusted with the so-called docking windows. With the docking mechanism windows can be docked to any position at the edge of the IDE. Furthermore you can combine windows to a tab group. The docking windows are moved together with the main window. You can also position the windows freely and outside the main window. This function is important if you want to use two or more screens and one screen is only used as work environment. By clicking on the pin symbol, you can allow the window to hide automatically, if it is not needed for the moment. As soon as you hover over the hidden window, it will be fully displayed. 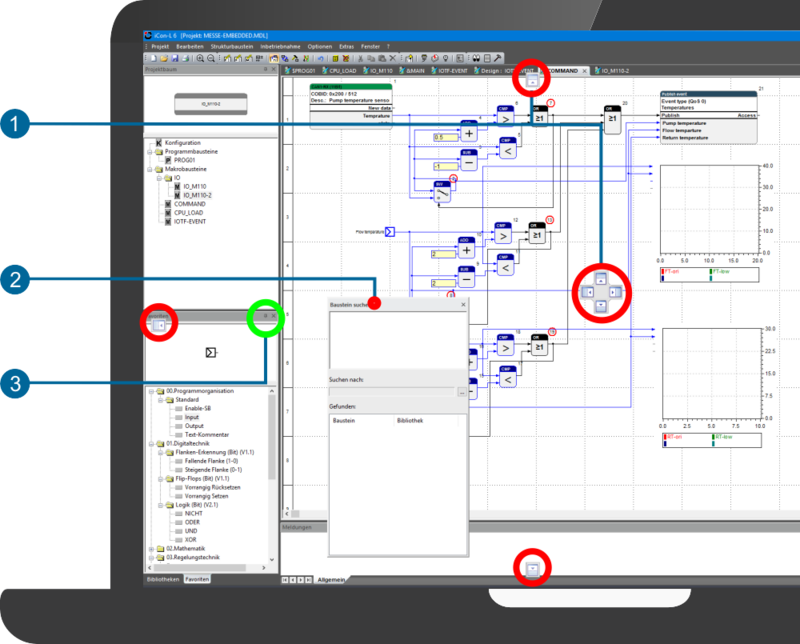 For the monitoring system, an M-bus interface, which is extremely simple to use, is offered. The user places a function block on the worksheet. Following, the parameter dialog for the block is called. The dialog contains an M-bus scanner, with which all M-bus devices are read. 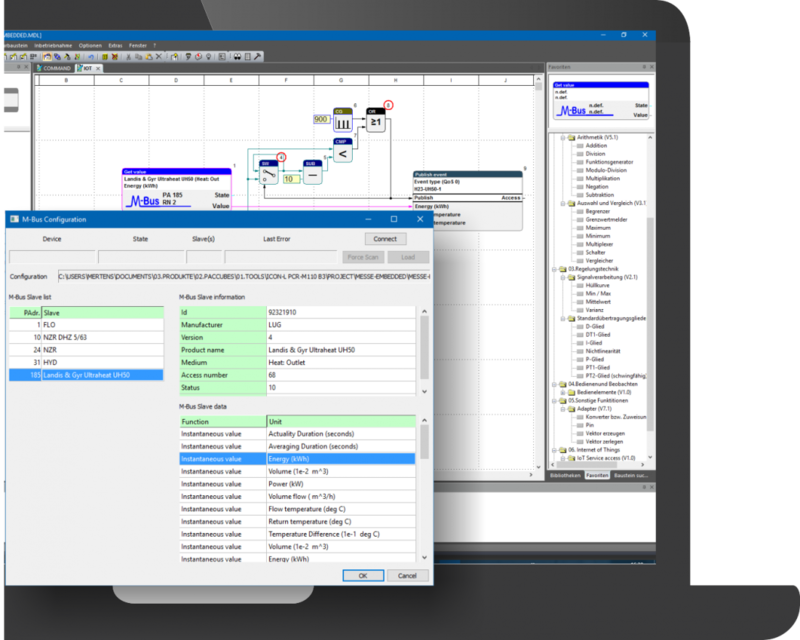 The devices and all available data is graphically presented in the dialog. 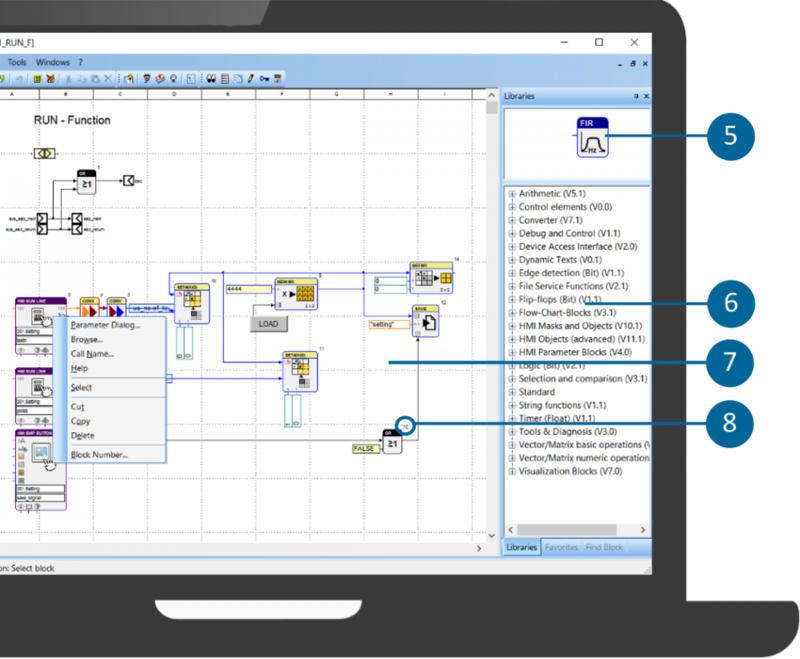 The user now selects the desired device and the data point and parametrizes the M-bus block with it. The block will now cyclically write the latest value of the data point to the output of the block. After that, the user connects the output of the block with the input of the regarding function block to further process the data. Such a block can be, for example, a block to send data to an Internet of Things instance.